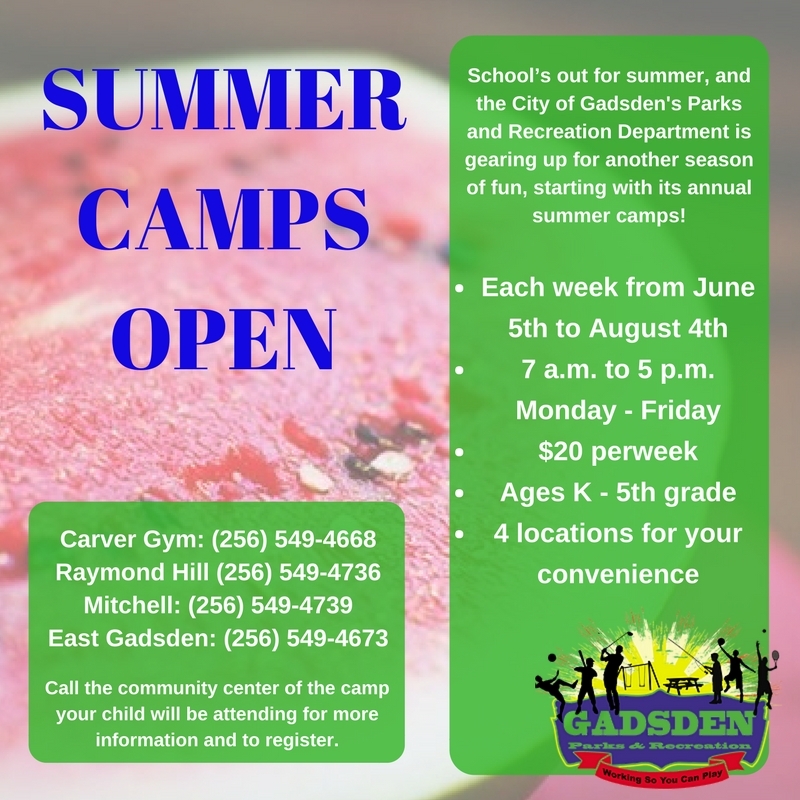 School’s out for summer, and the City of Gadsden Parks and Recreation Department is gearing up for another season of fun, starting with its annual summer camps! Camps will be held each week from June 5 to August 4 at the Carver Gym, Raymond Hill and Mitchell Community Centers. For only $20 per week, campers ages K-5th grade will enjoy a variety of classic camp activities, including arts and crafts, games and field trips to local attractions and the movies.